Temperature transmitters feature significant advantages over directly wired sensors. They can eliminate special cabling requirements, simplify engineering and maintenance while enabling advanced diagnostics. Yokogawa offers head-mount, panel-mount, and field-mount devices to cover different temperature applications. These temperature transmitters are designed to be mounted on DIN-rails within panels. Like the YTA50, the YTA70 is a 2-wire analog temperature transmitter that outputs a simple 4 to 20 mA output that corresponds to the temperature measured. However, it adds HART 5 (Code -E) or selectable HART 5/HART 7 (Code -J) digital communication. Suitable for applications requiring high-density measurement points, the YTA70P is designed to be fitted on a DIN rail mounting in a field junction box. The YTA70P is an analog temperature transmitter that outputs a simple 4 to 20 mA analog output and a HART® 7 digital output. 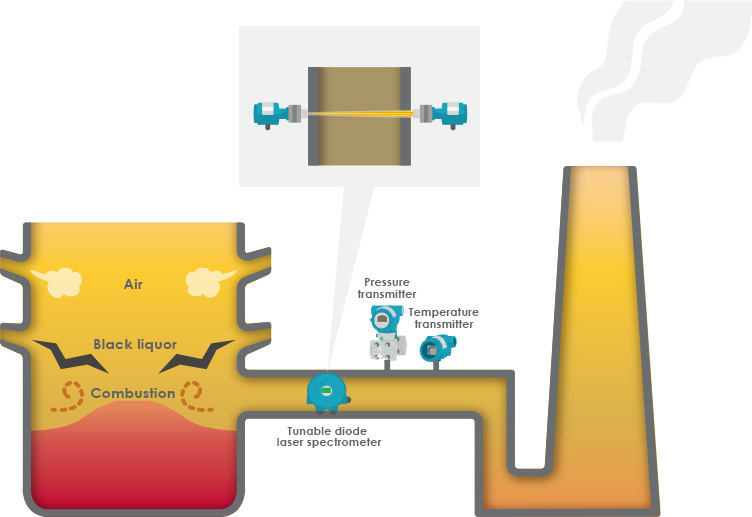 Temperature is one of the four basic process measurements (others being Pressure, Level, and Flow). Temperature measurements are used in an array of different applications. The inaccuracy of a temperature reading can have an impact on the bottom line. 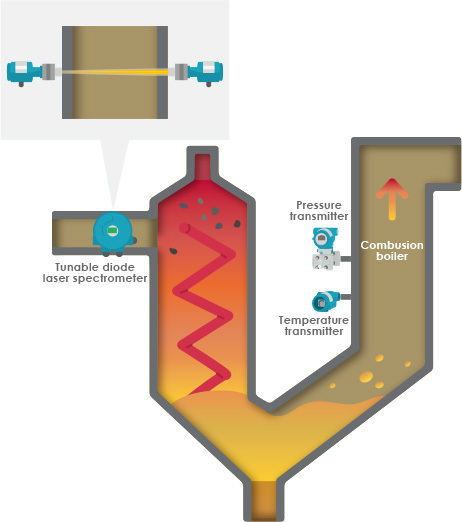 For example, if a controller is maintaining water temperature at 100°F in a process and the temperature measurement getting back to the controller is just 1°F below the actual temperature, the controller will increase the energy to the process to get it to 100°F (although it is really not needed.) How much will this wasted energy cost you per year? Of course, it depends how much water we are talking about, but, if you're using 100,000+ gallons per year, is it costing $8,000/year? $10,000/year? Or more? The cost of a small measurement inaccuracy (just 1°F) is genuine yet often overlooked. You can see that it is essential to have a good understanding of temperature measurement. The following sections will cover the basics of temperature sensors and why the use of a temperature transmitters is useful. There have been numerous sensors developed through the years. All of them infer temperature through some change in a physical characteristic of the sensor. A good example is a Mercury thermometer. The volume of mercury (the physical characteristic) changes predictably as temperature changes. Knowing the predictable change allows us to construct a thermometer with a visual scale that we can read the temperature from. However, in industrial applications, we need something more accurate than the mercury thermometer. The more common sensors used in industrial applications are Resistive Temperature Detectors (RTD) and Thermocouples (T/C). RTDs are made from a single material whose electrical resistance changes as temperature changes. Knowing the relationship between resistance and temperature allows us to infer the temperature measured. A typical material used for RTDs is Platinum; but, other materials are used as well. Platinum has a stable, well-defined resistance change per degree of temperature change over a wide temperature envelope. The advantage of RTDs is the stable, accurate output over an extended period. Disadvantages are their initial higher cost and limited measurement envelope when compared to thermocouples (Refer to the graph below). Thermocouples are made from two dissimilar electrical conductors that are joined at one end. Changes in temperature at the connection point of the two materials cause a voltage to be generated between them. Knowing the relationship between the generated voltage and temperature allows us to infer the temperature measured. Thermocouples are made out of several different materials combinations. Each combination has a different temperature envelope. Thermocouples are more rugged, less expensive, faster responding and have larger measurement envelopes when compared to RTDs; but, are not as stable, and accuracy degrades over time. As with all field instruments, the purpose of taking a temperature reading is to get that information back to the controller/monitor in a timely manner, accurately, and reliably. Each type of sensor has unique challenges directly wiring to the receiving device. Generally, this method will have an adverse effect on the accuracy and reliability of the sensor signal. RTDs use extension wires. These wires add resistance to the RTDs signal. Since RTDs use resistance to measure temperature, any resistance not contributed to temperature will cause an error when it reaches the receiving device. The "extra" resistance can be compensated for using a 3-wire or 4-wire RTDs. These extra wires are used to measure the resistance in the wiring. The receiving device can use the information to compensate for the additional resistance. However, you are left with runs of 3 or 4-wire cabling. This cabling can cost you up to twice as much as regular 2-wire cable. Thermocouples require special wiring to connect the thermocouple to the receiving device. This wiring must be made from the same materials as the thermocouple itself. If wiring with a different material is used, the receiving device will receive a corrupted signal. Ensuring that the special wiring is available during installation and maintaining a supply for later maintenance adds a layer of complexity to a thermocouple use. Cost of this special wiring is also a consideration (especially with long wiring runs). Temperature Transmitters resolve these problems. The transmitter can be placed close to the sensor to reduce the special wiring required, thus reducing any potential error. The transmitter converts the sensor signal to a signal that can be transmitted a greater distance. This signal can be a pure 4 to 20mA DC analog signal, a digital signal (Hart® Protocol, BRAIN Protocol, or FOUNDATION™ Fieldbus Protocol), or a wireless signal (ISA100). The transmitter gets a reliable, accurate signal to the desired receiving device using a standard twisted pair or, in the case of a wireless transmitter, no wires at all. Getting the information back to the controller/monitor in a timely manner, accurately, and reliably.